The automatic movement forms an integral part of Perrelet's history as its founder, Abraham-Louis Perrelet, was the precursor in this type of winding mechanism. It comes as no surprise, then, to see the brand pay a permanent tribute to one of the great inventions in mechanical watchmaking. 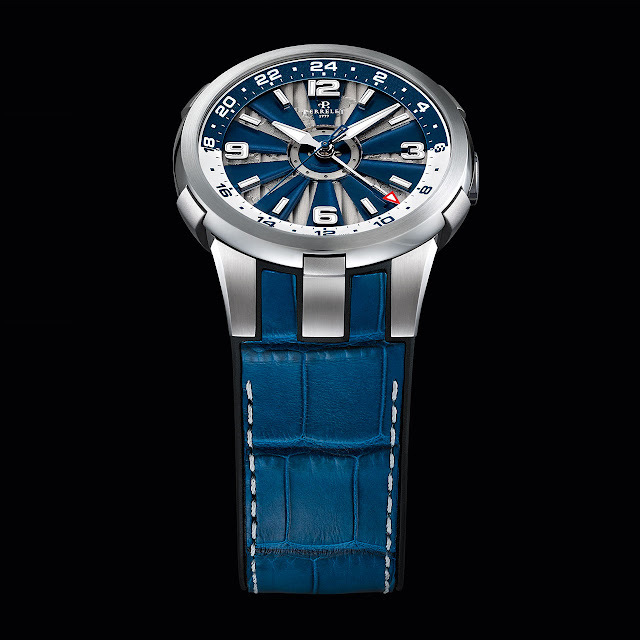 With blades that spin with the movements of the wrist, the Turbine has become a symbol of the brand. Endlessly fascinating, this namesake feature fulfils every watchmaker's dream as it renders each model immediately recognisable. This year's GMT version proposes a second time zone that is set by the crown. When the turbine dial is spinning at full speed, a transparency effect reveals a plate which is decorated with Côtes de Genève and engraved with a map of the world. The traveller's ideal watch. Mechanical automatic, P-401 calibre, 25 jewels, 28,800 vib/h, 42-hour power reserve. Hours, minutes, seconds, GMT with day/night indicator. Steel, 44 mm. Anti-reflective sapphire crystals, front and back. Water-resistant to 50 metres (5 bar/165 ft). 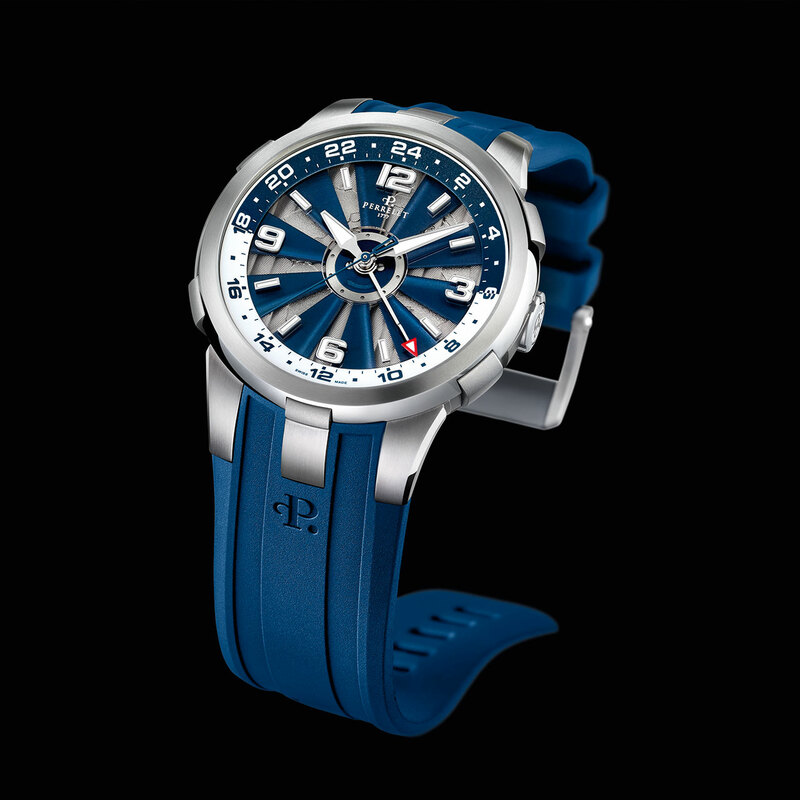 Pacific blue turbine with 10 blades, under-dial with Côtes de Genève motif and engraved map of the world. Pacific blue rubber or bi-material PU-alligator with buckle. 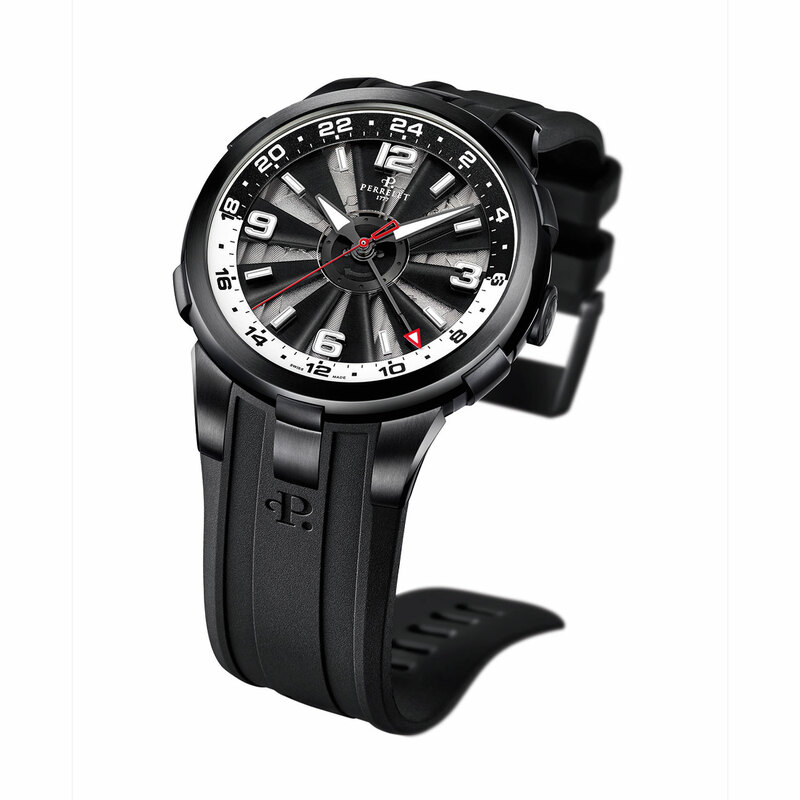 Steel case, black PVD with black turbine, black rubber or bi-material PU-alligator strap.